The nutritional content of many foods is partially determined by the nature of the food crop itelf, but is also dramatically affected by the quality of the soil in which it is grown, and the type of fertizers used to produce it. Green Magma is an organic green barley juice extract - and is grown in the fertile oxnard plain in California, U.S. - without the use of any chemicals whatsoever. In addition - award winning processing methods are employed to guarantee the high nutritional content of the finished product. 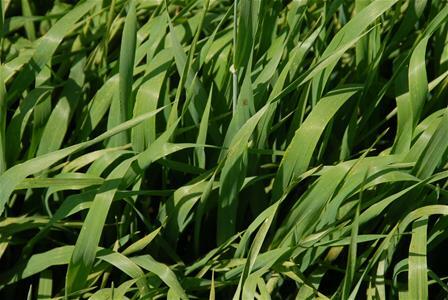 Green Barley is rich in many vitamins, minerals, amino acids, enzymes and other important actives. These include high amounts of chlorophyll and a unique flavonoid called 2" -0-Glycosylisovitexin (2" -0-GIV) which has been shown in research to be a more potent antioxidant than Vitamin E.
Vitamins: Beta carotene, Biotin, Choline, Folic Acid, B1 (Thiamin), B2 (Riboflavin), B3 (Niacin), B5 (Pantothenic Acid), B6, B12, C, E (Alpha Tocopherol Succinate), K.
Minerals: Boron, Calcium, Chloride, Chromium, Cobalt, Copper, Iodine, Iron, Magnesium, Manganese, Nickel, Phosphorus, Potassium, Selenium, Sodium, Suphur, Zinc, plus trace amounts of 50+ other minerals. Enzymes: Catalase, Cytochrome oxidase, DNase, Fatty acid oxidase, Hexokinase, Malic dehydrogenase, Nitrate reductase, Nitrogen oxyreductase, Peroxidase, Phosphatase, Phospholipase, Polyphenoloxidase, RNase, Superoxide dismutase, Transhydrogenase. Amino Acids: Alanine, Arginine, Aspartic Acid, Cystine, Glutamic Acid, Glycine, Histidine, Isoleucine, Leucine, Lysine, Methionine, Phenylalanine, Proline, Serine, Threonine, Tryptophan, Tyrosine, Valine. Essential Fatty Acids: Linoleic acid, Linolenic acid. Other phytochemicals: Chlorophyll, Bioflavonoids, 2” -0-Glycosylisovitexin (2” -0-GIV).